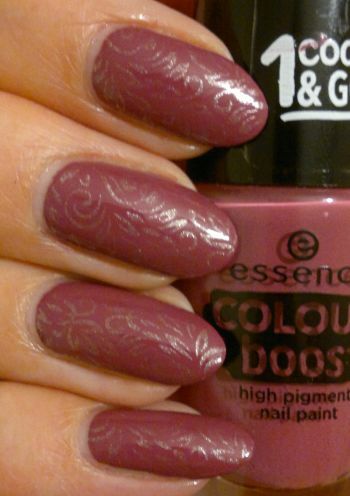 For this mani I painted my nails with Essence Colour Boost 07 Instant Feeling. I love this colour! 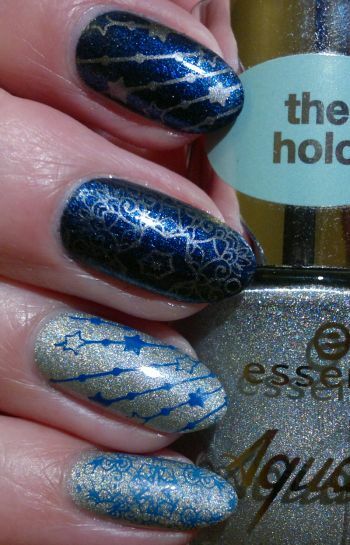 I used Pueen’s 76 plate (which is part of Pueen’s Buffet Leisure stamping plate collection) and Sally Hansen Complete Salon Manicure 419 Coat Of Arms to stamp delicate images onto my nails. 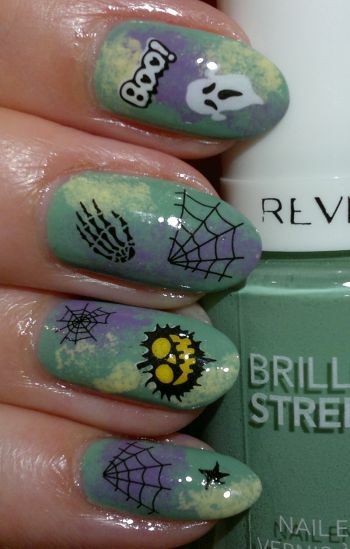 I really liked how this mani turned out! The golden images look great on the vintage rose coloured background. Do you agree? Feel free to comment. And thanks for stopping by! Hi there! My first Nail Of The Day post of 2018 is about a mani I did for the A-Z Nail Art Challenge (Y-Yellow Nails). Anyhoo, I wanted to do Sponge Bob nails, but then I decided to stamp! 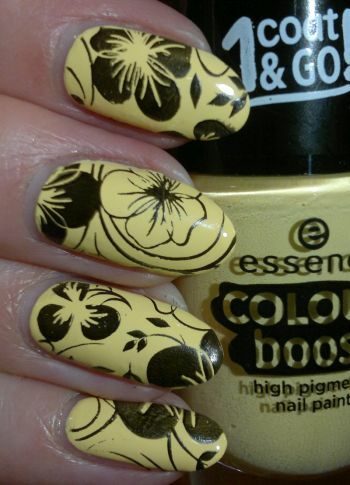 I used Pueen’s 72 plate (which is part of Pueen’s Stamping Buffet collection), and Rimmel’s 60 Seconds 820 Hot Black To Go. I really like this mani because it’s bright and happy. Do you agree? Feel free to comment. And thanks for stopping by! Hi there! 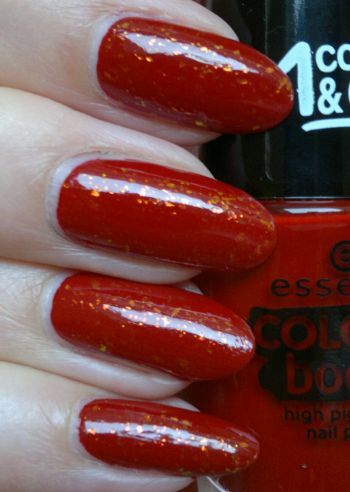 Since this week is Nail Week, I have another Nail Of The Day post for you today. This mani is also my attempt at Diva Nails which is part of the A-Z Nail Art Challenge which I’m doing for no one but myself! 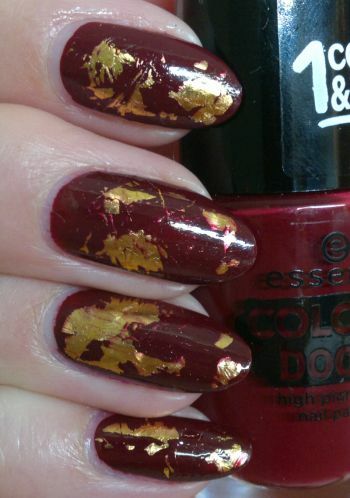 I just wanted to do plain dark red nails, but I was bored of the simple mani before the polish had dried. So I kept thinking… now what? 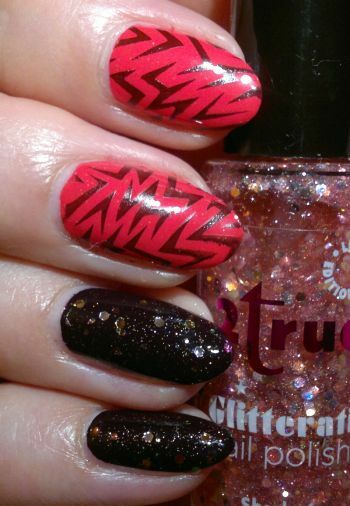 Then I had an idea – foils! I really liked this quick and easy to do mani. What do you think? Feel free to let me know your thoughts. And thanks for reading!